SCOURGE OF THE WEST ***1/2 Hits the ground running with a superb pilot, establishing the situation very quickly, with a few of the usual awkward “introductory” speeches. They aren't too much of a distraction from the numerous belly laughs. 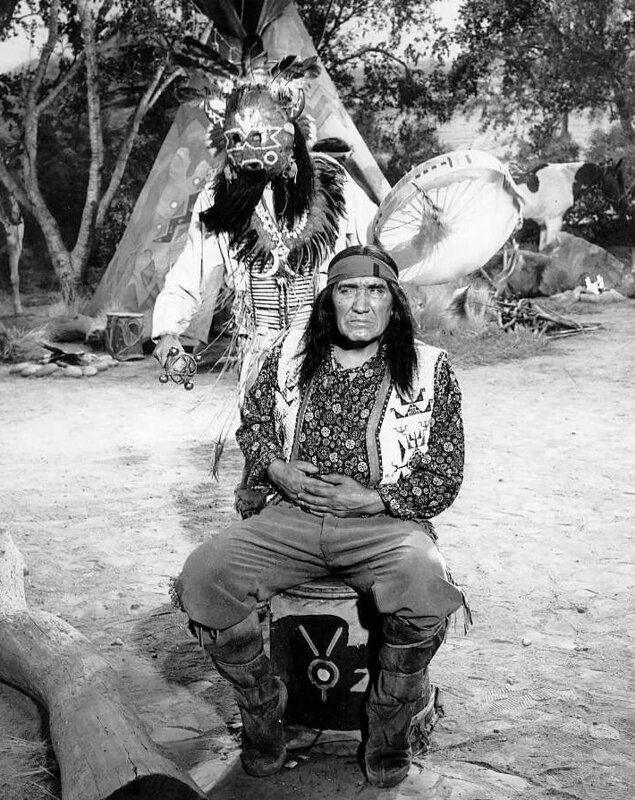 DON’T LOOK NOW, ONE OF OUR CANNON MISSING **** Larry Storch does his first celebrity impersonation, old-time western star Donald “Red” Barry has a cameo, and O’Rourke loans Chief Wild Eagle the fort’s cannon. Also, Melody Patterson’s real age is apparently still a secret, as she has some pretty affectionate kissing scenes with Berry. 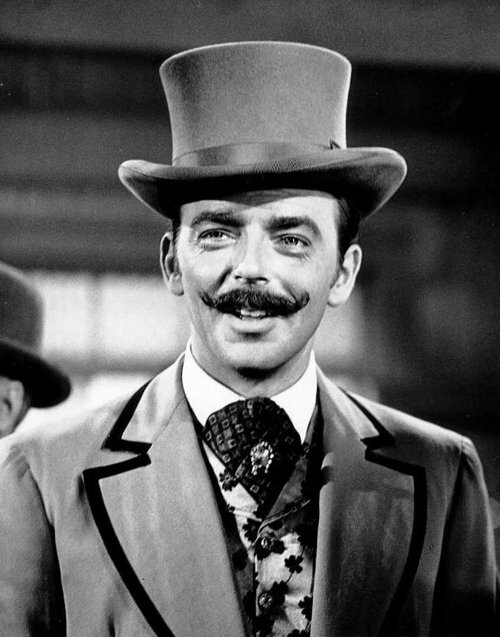 THE PHANTOM MAJOR ***1/2 "Dr. Bombay" Bernard Fox guest stars in a side-splitting bit of weirdness as a British "living legend" assigned to teach F Troop "the art of infiltration through camouflage"--thus making the fort obsolete and jeopardizing O'Rourke Enterprises. A few too many groaners in Arthur Julian's script, but this one is commendably droll, directed by London's own old school vet Leslie Goodwins. CORPORAL AGARN’S FAREWELL TO THE TROOPS ** The first clunker, with a tired, conventional plot concerning Agarn thinking he has days to live, when in fact the medical information he overhears concerns O’Rourke’s horse. It’s been done elsewhere, and never very well anywhere. Look for Vic Tayback in a cameo. THE RETURN OF BALD EAGLE *1/2 For some strange reason this episode kept turning up in prior, alleged “Best of” releases. Perhaps it’s the “name” casting of Don Rickles, but his performance is a laugh-killer, and this is not one of Arthur Julian’s better scripts, to put it mildly. One of the worst of the season. DIRGE FOR THE SCOURGE ***1/2 Jack Elam is great as badman Sam Urp, who is seeking to shoot it out in the middle of town with Captain Parmenter. “There’s only room for one Scourge, and that’s me!” First appearance by Don Diamond as Crazy Cat. THE GIRL FROM PHILADELPHIA ***1/2 Parmenter’s old, status-seeking fiancée is the latest threat to expanding O’Rourke Enterprises, as she wants to take “The Great White Pigeon” back to Philadelphia, using her family connections to get him transferred. OLD IRONPANTS ***1/2 While Parmenter goes off to military school for two weeks of intensive training, O’Rourke and Agarn begin a mail order bride business. And remember: “Good luck on your new assignment at Little Big Horn!”. Resolution is too abrupt; until then, a hilarious showcase for Ken Berry. Also includes one of the funniest Wild Eagle-O'Rourke negotiations. ME HEAP BIG INJUN **1/2 Some overly corny lines here, even by the vaudeville standards established. Agarn spends his furlough with the Hekawis at O’Rourke’s insistence, then decides he likes Hekawi life better than army life. 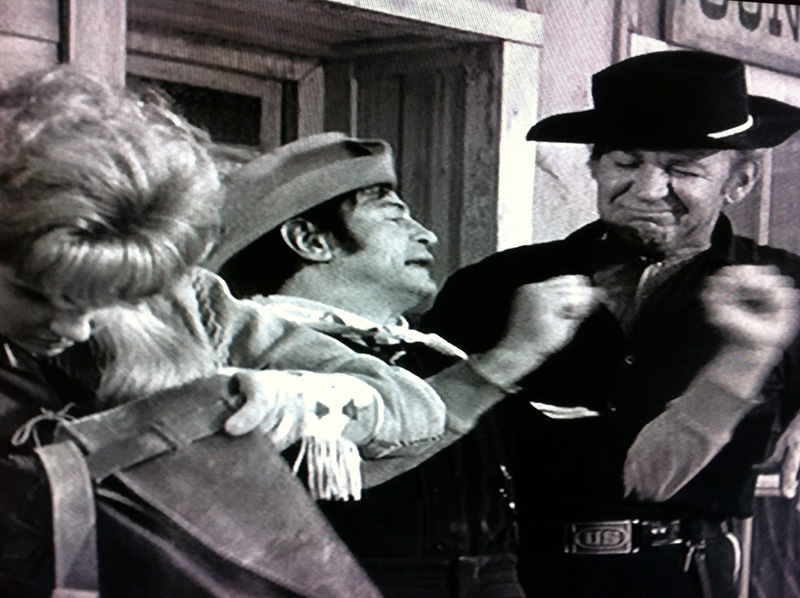 A GIFT FROM THE CHIEF ** The night maneuvers are funny, but this plot, with Chief Wild Eagle giving Parmenter a Hekawi baby as a gesture of goodwill, is way too conventional for F TROOP. Last appearance by Edward Everett Horton as medicine man Roaring Chicken. SHE’S ONLY A BUILD IN A GIRDLED CAGE *1/2 A stretch here. The sharp O’Rourke jumps to the conclusion that Bugler Dobbs is engaged to Laura Lee, the famous dance hall girl. She’s played by Patrice Wymore, formerly married to Errol Flynn and also a Season Two F TROOP guest star. A dull episode, way too soft in all respects. 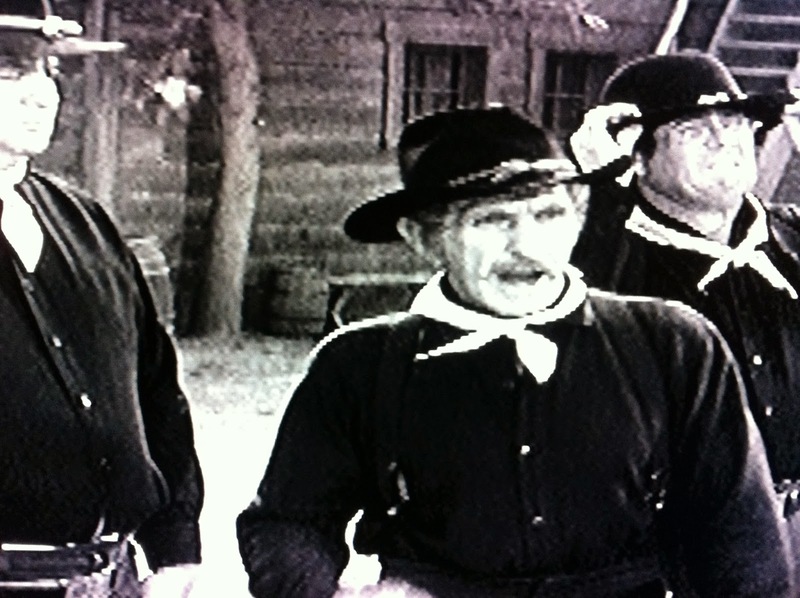 HONEST INJUN ***1/2 John Dehner made a living playing con men, and memorably tangled with Bret Maverick in the classic MAVERICK episode “Shady Deal at Sunny Acres”. Here he is Sergeant O’Rourke’s latest rival. Watching Tucker and Dehner go at it makes for a very entertaining episode. HERE COMES THE TRIBE **** F TROOP’s take on Romeo and Juliet, sort of. Tucker and Storch really shine in this one, with some great lines and one of the series’ best tags. Inexplicably, each of the last two episodes were unreleased by Columbia House on the 30 episode set released in 1998. They were two of the biggest oversights. IRON HORSE GO HOME ***1/2 O’Rourke schemes to get the railroad to come through Fort Courage. One problem: he’ll have to convince Wild Eagle to relocate the Hekawis. Which the Wise Old Chief does....settling into the fort! Marred a bit by unconvincing day for night footage in a key scene. OUR HERO, WHAT’S HIS NAME? ***1/2 Jackie Joseph, Mrs. Ken Berry at the time, plays Betty Lou, Agarn’s oft-referred to fiancée. Here, she’s written him a Dear John letter, and O’Rourke schemes to help his heartbroken buddy by claiming he killed Geronimo. One problem: word gets around! Not the most credible premise but inspired lunacy from beginning to end. Mike Mazurki also guest stars. WRONGO STARR AND THE LADY IN BLACK ***1/2 F TROOP’s most famous guest star: Henry Gibson as Private Leonard “Wrongo” Starr, the jinxed cavalry trooper. He arrives in town at the same time as “The Happy Go-Lucky Widow”. Gibson was so popular he was brought back to reprise the character in Season Two. 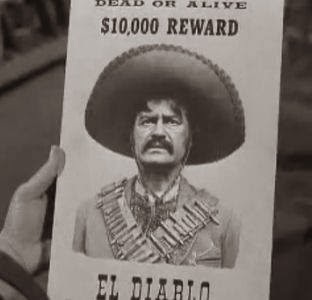 EL DIABLO ***1/2 Larry Storch plays 5 different relatives in this one, including the title character, whose real name is Agarnato. We would later meet several other eccentric Agarn relatives, but this was the first. GO FOR BROKE **1/2 George Gobel guest-stars as Wrangler Jane’s inventor cousin. Meanwhile, O’Rourke turns out to be no Bilko in his poker match against Dapper Dan. Like Bilko in “The New Recruits”, he doesn't know he's being cheated. UN-like Bilko in the same episode, he has no qualms about gambling with the troop’s pension fund! THE NEW I.G. **** Andrew Duggan is one of F TROOP’s all-time funniest guest stars, as hard-nosed, deadpan Major Chester Winster, inventor of the “Chestwinster 76”, the gun that will win the West. Unfortunately O’Rourke has loaned it to the Hekawis to make toy replicas, the newest souvenir for O’Rourke Enterprises! Some of Don Diamond’s best work as Crazy Cat. SPY, COUNTERSPY, COUNTER, COUNTERSPY *** Long before ONE DAY AT A TIME, Pat Harrington Jr. gets his opportunity to parody Don Adams, as superagent B. Wise, a master of disguise. Fun, with plenty of good natured digs at GET SMART! THE COURTSHIP OF WRANGLER JANE **** O’Rourke’s latest scheme: build a steam room. But he’ll need the captain off the post to do it. Hmm. Married officers live off the post, as Agarn keeps reminding us. PLAY, GYPSY, PLAY ***1/2 Agarn gets his opportunity to run O’Rourke Enterprises while O’Rourke is away. Some guys are VICE President for a reason. Zsa Zsa Gabor guest stars. REUNION FOR O’ROURKE **** Gets an extra half star for the classic explanation on the Hekawi tribe was named. Agarn tries to keep a surprise party for O’Rourke secret. CAPTAIN PARMENTER, ONE MAN ARMY ***1/2 With a nod to the classic MAVERICK episode “The Ghost Soldiers”, Parmenter finds himself stationed alone at the fort due to an error in paperwork. Willard Waterman, once “The Great Gildersleeve”, guest stars as F Troop’s first Captain. 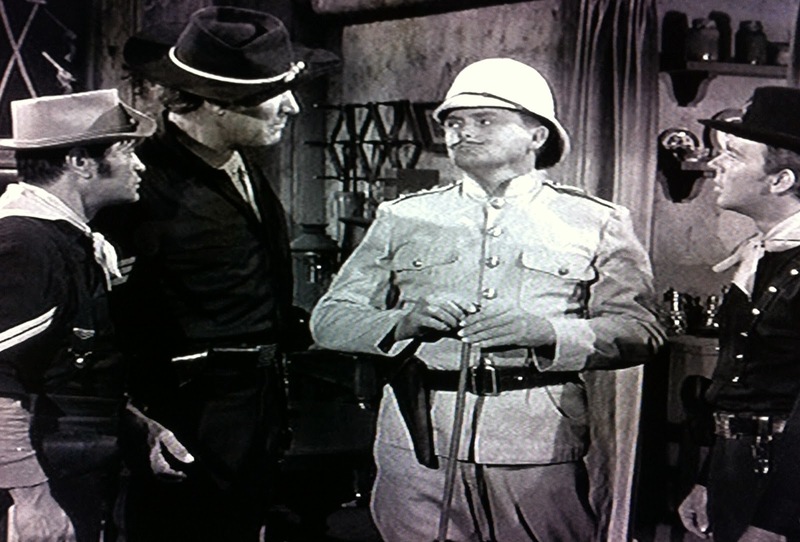 DON’T EVER SPEAK TO ME AGAIN *** F Troop is being cited for having the highest morale by the Secretary of War. In this episode, the repetition gets a bit annoying. 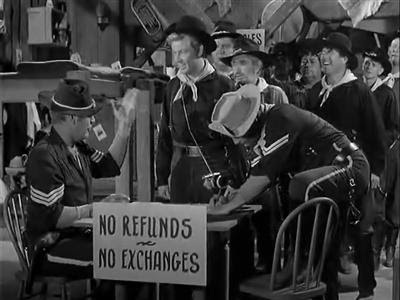 If you’ve seen that fantastically dirty F Troop blooper reel in circulation, you’ll recognize that a lot of the bits came from the filming of this episode. Would rate a star higher with that footage! TOO MANY COOKS SPOIL THE TROOP **** The first of 3 great appearances for James Gregory (BARNEY MILLER) playing Major Duncan. When Duncan pulls rank and requisitions Fort Courage’s cook, O’Rourke smells another money-making opportunity---if he can just get Agarn in Cookie’s place. JOHNNY EAGLE EYE **** Talk about treason: O’Rourke schemes to get Sitting Bull’s son into F Troop as an “Indian Scout”, because he’s a crack shot, sure to win the army marksmanship contest. 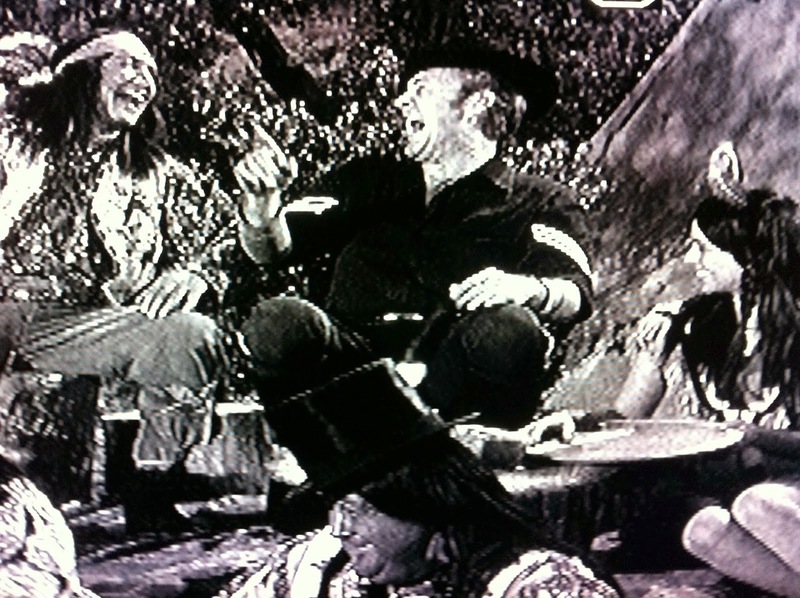 Some of Joe Brooks’ best bits of business, and one of F TROOP’s most side-splitting situations. A FORT’S BEST FRIEND IS NOT A MOTHER ***1/2 Jeanette Nolan as Parmenter’s overly protective mother, who can’t stand the thought of her son being called a “scourge”. She wants him transferred---can O’Rourke outwit a general’s wife? The "council of war" sequence is one of the season's finest moments. LT. O’ROURKE, FRONT AND CENTER **** James Gregory returns as Major Duncan, looking for officer material. In this episode, we see one of the Hekawis’ most profitable solo businesses, their Playbrave Club, in which O’Rourke has membership card # 1. Marilyn Fisk, a.k.a. Mrs. Forrest Tucker, has a cameo. THE DAY THE INDIANS WON **** Arguably the funniest episode of the entire first season, which is saying a lot. The Council of Indian Nations is furious with the Hekawi for not going on the warpath. Meanwhile, Major Duncan is getting suspicious because the Hekawi have been quiet for too long. Great, great lines and one of the funniest half-hours of television I’ve ever seen, period. WILL THE REAL CAPTAIN PLEASE TRY TO STAND UP? 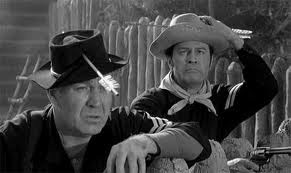 ***1/2 O’Rourke plots to get the town drunk into F Troop for a day. Heart of gold taking over? Nah, it’s to win a bet, of course! The 34 episodes are all presented full frame, but not broken into individual chapters within the episode itself. French and Spanish subtitles. All episodes are presented uncut; there are no syndicated versions here. Sadly, there are no extras, the only gripe I have with the Season One set. James Hampton, Joe Brooks, Larry Storch, Ken Berry, Don Diamond and Melody Patterson are all still with us, and though Storch is 83, he’s been astoundingly active in recent years (most recently, a commentary on the Sgt. Bilko boxed set, an appearance in THE ARISTOCRATS, and Broadway stints in SLY FOX and ANNIE GET YOUR GUN). Still, Season Two could use the extras as a selling point more, so hopefully they’ll correct this next time out. **** Disappointing lack of extras, but the 34 episodes on this set are so strong, it is more than well worth purchasing. One of TV’s all time funniest seasons of comedy, period. Should be in just about any classic TV collection. Warners, give us some extras with Season Two—and that’s an order!! I love your synopsis of Season One! Your comments are insightful and the extra tidbits of information on guest stars and the like are wonderful. Thank you! 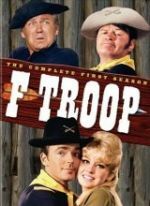 I am a new and avid fan of F-Troop now that I've seen the first season DVD set and I would love to know how to get a copy of the F-Troop blooper reel. Can you help? Unfortunately I only saw the blooper reel but don't own it. I saw it maybe 10 years ago; there was a take on the scene from "Don't Ever..." when all the troopers were in the captains office and Steele, Storch and Tucker were delivering the lines in a very "effeminate" manner, and De Kova attempting to break a stick over his head (in the episode he just snaps it in two, for good reason), and a few unexpected walk-ons and the like. But if I do find a copy I'll be posting that on this blog, believe me! Season Two is coming out this summer, and Season Two WILL have extras. Hopefully that blooper reel will be among them...it would be a godsend to the show's fans. Enjoy your blog on F-Troop. My brother & I use to watch it faithfully. We use to say the lines before they came on. We also would quote lines to each other. Of course our friends would just stare at us not knowing what the hell we were cracking up about. I agree on the no extras on the DVDs I do have as well. Ken Berry was the only one in the extras and many of the main characters are still around. I'll be back I haven't read all on F-Troop and have a question on one episode. Thanks for reading EvenSpot! And for the podcast link; I haven't had a chance to listen to Mr. Storch's interview with Gottfried but heard it's great.